Large metal and concrete building that was previously a bowling lane that is now used for industrial machine shop and storage. Building is being sold with contents and vehicles located in shop as well as on the exterior. Much equipment is also included. All cars and trucks are collectible and vehicles of interest. 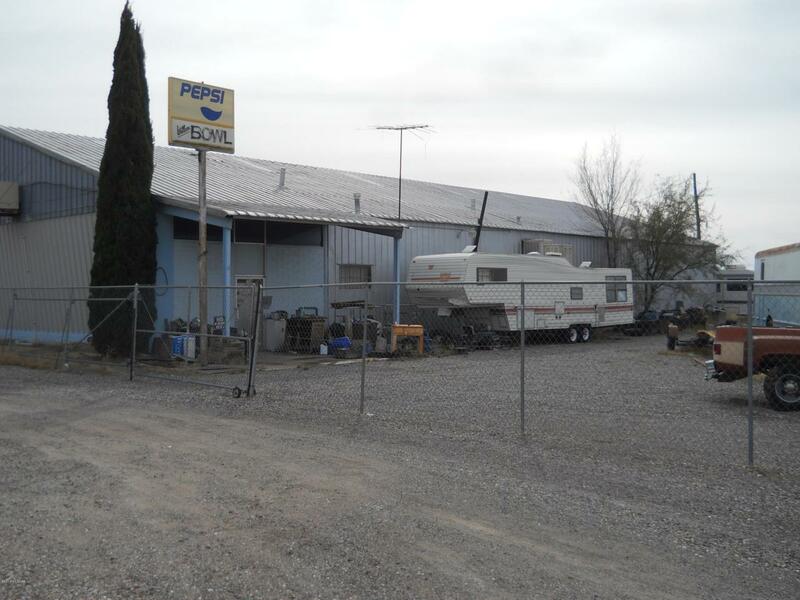 8100 square foot building on fenced 2.33 acre lot located in the city of Willcox. Building has many uses that could work for you.